Do you need to assess your care workers effectively so they can be issued with the care certificate? Is it your responsibility to carry out Care Certificate assessments? When this course is used in conjunction with our Care Certificate Training, it gives you the complete Care Certificate Training package! 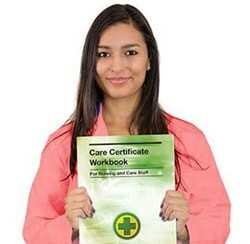 Who is the Care Certificate Assessors Course for? Why is The Care Certificate Assessors Course needed? So how does the Care Certificate Assessors course work?